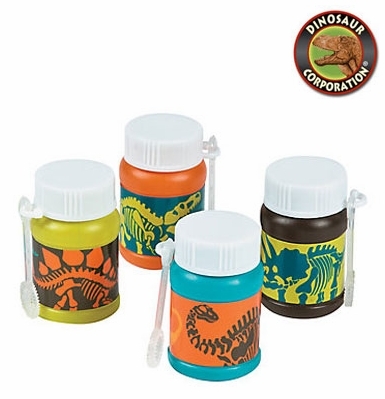 Take a journey back to the prehistoric times with these cool Dino Dig Bubbles! The perfect addition to your dinosaur-themed party supplies, these fun accessories are just what your need for a boy's and girl's birthday party. Great as party favors, spectacular color bubbles will keep kids entertained for hours! Each with a wand and dinosaur design of T-rex, Triceratops, Stegosaurus and Brachiosaurus.